Check out our Featured, News for similar articles. We will see plenty of action at the ballparks around the nation on Tuesday after a slow Monday with just eight games on the board. Rob Vinciletti is +$72,400 All Sports YTD good for a second place on our overall leaderboard. If you’re looking for one big play to punish your bookie with on Tuesday, Rob’s got the game for you. On Tuesday jump the strongest play on the site tonight as world renowned analyst Rob Vinciletti unleashes a huge National League Total of the Year. This one has a rare undefeated MLB totals system and several powerful angles and statistical indicators. big game hunters are all set to “totally” dominate tonight with Vinciletti. 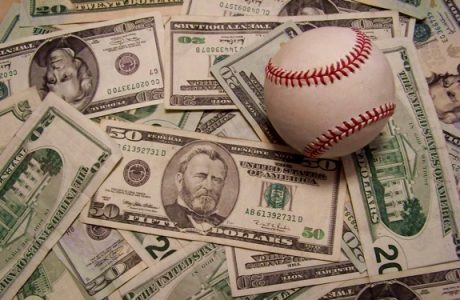 Larry Ness is our top handicappers over the last seven days, and his numbers are competing with the best in the industry right now: 18-9 (67%) all picks last seven days, 129-87 +$21,384 all sports since June 1st and 189-143 +$12,810 MLB YTD. Time for a subscription?! Get all of Larry’s plays for today for just $49.95! Ness is a 32-year handicapping veteran and he’s ready to get the job done each and every day throughout the Calendar year. With four MLB plays loaded, this subscription screams *EXTREME VALUE! * Take a look at all Larry Ness’ subscriptions. And our experts are as always giving out plenty of free picks. Don’t miss out on free winners from the best in the business.